Guess who we spotted advertising on social media. 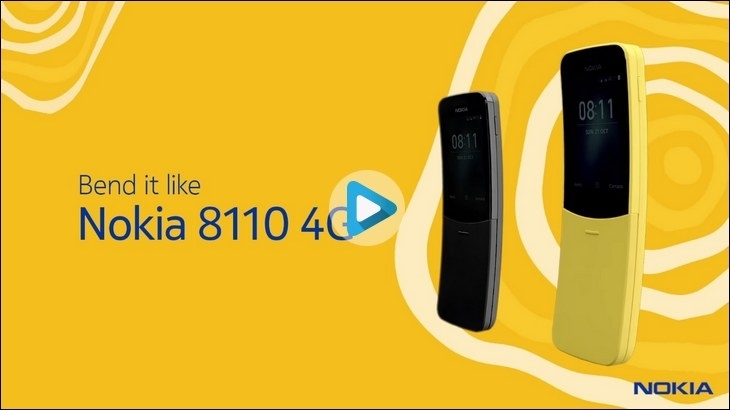 This retro-esque feature phone ‘Nokia 8110’ just got access to WhatsApp but we wonder whether the phone even meant for that! To us, it looks more like a loud, vintage style statement – the kind you can brandish around the office on a dull Monday afternoon. 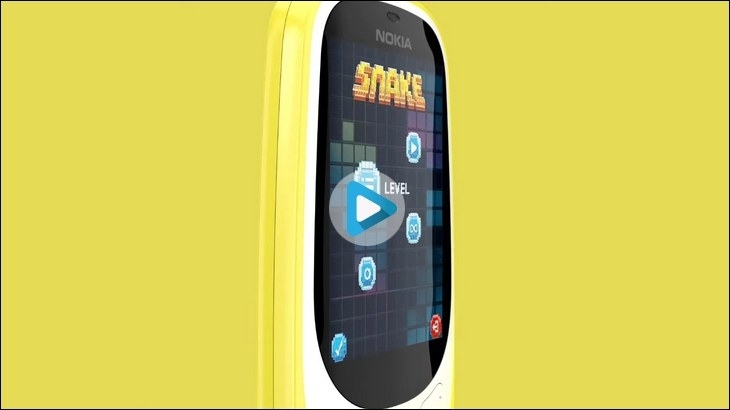 Nokia’s banana themed phone is bright yellow in colour – (a black variant exists, but what’s the fun in that?) – and has a banana-like curved spine. It also has a fancy slider that unlocks the device and reveals its keypad… not virtual. Most importantly, the phone is sold at a price close to Rs 5,000 on Amazon – an amount sufficient to buy a low-end and fairly functional smartphone experience with. That’s why we’re pretty sure this banana phone is meant more for style than for actually making calls and pinging friends on WhatsApp. Let’s just say, this can’t possibly the only phone a person would own… it could be ‘that extra phone’ – the one to show off at a party with. The phone was first announced in early 2018. We woke up to this strange looking device, a little late in the day we’ll admit, when we spotted the brand’s digital ads doing the rounds online, on social media recently. The phone could probably be positioned as a retro-themed style-statement, a flaunt-worthy accessory of sorts. We are guessing it’s not meant to be bought for its ability to make calls, but as a gadget one can make a fashion statement with. Just like some people wear a stylish wrist-watch but check the time on their cell phone. Well, this is not a first for HMD Global, Nokia’s parent company. The Finnish company been playing its nostalgia card for a while now. It first brought back the Nokia 3310 and then introduced the Nokia 8110. It re-launched ‘Nokia 3110’ in early 2017, an icon from an age when the brand was a market leader.